Buying a cookware set is an easy way to get some essentials all in one swoop. However, not every cook gets every piece they need from a set. Additionally, plenty of folks find that choosing individual pieces from a variety of brands and lines lets them build their kitchen just the way they need it. This buying guide will cover stainless and nonstick cookware pieces for everything from sauce pans to stock pots. We selected one of each type for each category. After offering at our picks for each of the products, we’ll take a closer look at the brands we like, the uses of different types and sizes of pieces, and we’ll give you a few ideas of “essentials” for various cooking situations. First up, let’s take a peek at our favorite individual cookware pieces. Though you probably already know what this kitchen staple is, here’s a general definition. 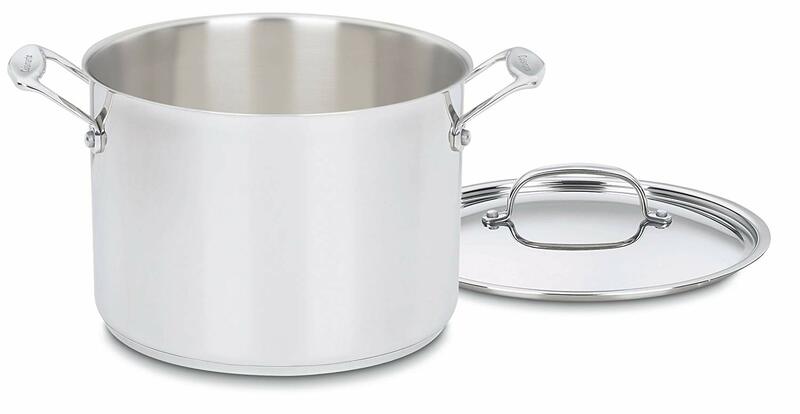 A saucepan (also called a sauce pot) is a versatile vessel that varies in size (1.5 quarts to 4 quarts) and is primarily used for liquid-based things. It has high sides to accommodate liquid and comes with a lid. Most saucepans have straight sides, but there are some cooks who use tapered saucepans for better stirring. Vollrath notes that combining tapered saucepans with a brazier for a hot bath works well for blanching, melting butter, and more. Note: If you’re buying pieces, we strongly recommend you go for stainless. Nonstick isn’t really necessary when it comes to saucepans, though there may be some dishes you’ll need to adjust your technique on if you’re worried about sticking. Here are our top picks for stainless steel saucepans. Cuisinart’s MultiClad saucepans are affordable yet durable. 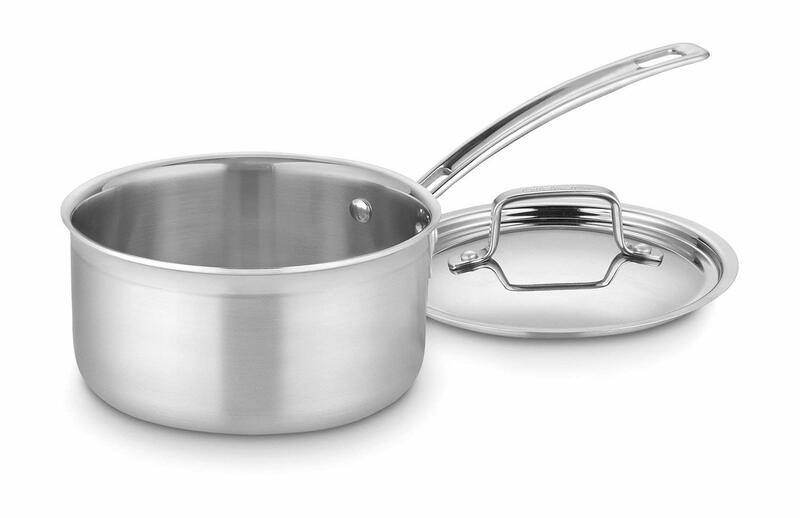 Available in a range of sizes, the MultiClad lineup is a great go-to for long-lasting and well-made saucepans. For an upgrade pick, look to All-Clad for beautiful and functional saucepans. Available in 6 useful sizes, the Tri-Ply line from All-Clad offers even heating and the brand’s signature style. If you’ve gotta have a nonstick, we recommend going with hard anodized aluminum. And, we like the All-Clad saucepan’s shape and design. While it’s a little spendy, it’s a good upgrade if you’re seeking out durable pieces for your kitchen. As we mentioned above, there are multiple size options available for any given saucepan. The best size for you depends on what you cook most often and how many people you typically cook for. A 1.5 quart is great for heating sauce or soup for two, for example. I have a 2-quart and 4-quart that I use regularly for my family of 4. It’s usually better to go bigger if you’re investing in a single pot (that way you have too much room, which is manageable, versus too little), but that can be tricky if you have limited storage. 3-quarts is a versatile size if you just want one! Lesser-known than the saucepan, a saucier is essentially a saucepan with a different design. Sauciers have wide mouths and flared walls, as well as a rolled lip. Fans of the saucier say it’s easier to whisk in and, while there are fewer options on the market, the majority are well-made and highly reviewed. Here’s our top pick. It’s easy to default to All-Clad, but those who are super passionate about cookware talk a lot about this lesser-known brand — especially when it comes to sauciers. This one is a 3.5-quart, which is a highly versatile size that gives you plenty of room for whisking and stirring. Though not always an item that gets put to use every day, the stock pot is still an indispensable cookware piece for many cooks. 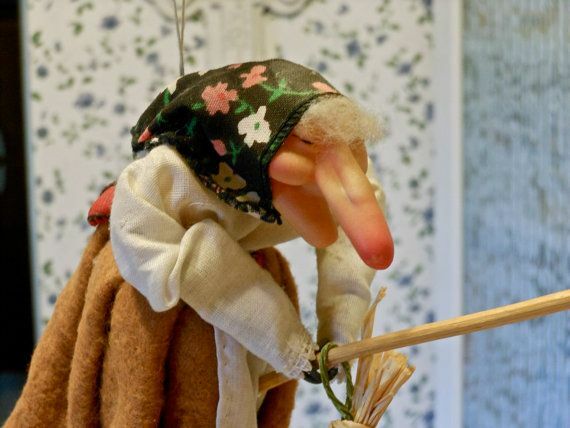 Stock pots are larger than saucepans, taller than dutch ovens, and are traditionally used for stock or soup. They are necessary for pasta and can also be used for large quantities of beans or veggies, and sometimes for canning. Stock pots heat quickly and are generally thinner than other cookware, but for those who make a lot of stock, a thicker bottom is a must. Sizes range from 6 quarts to as much as 20 quarts, but we find that 8-12 quarts are the most versatile. 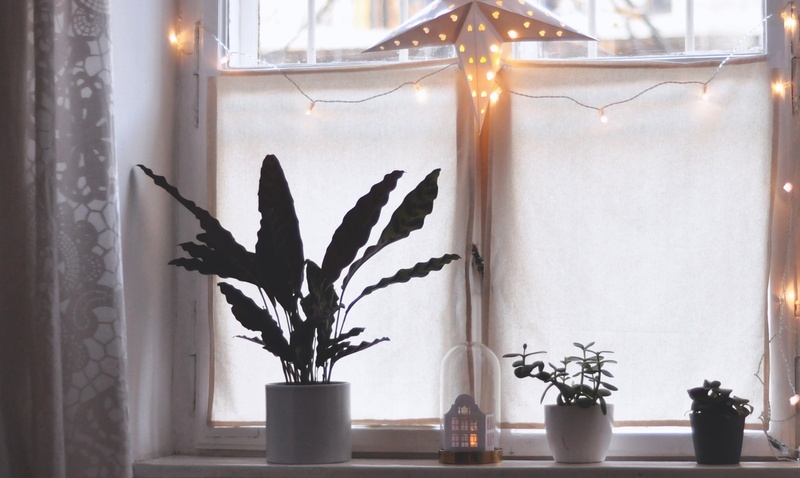 Do some soul-searching (okay, or just thinking) before you buy, as you’ll want to make sure the pot taking up all that space is just right for you. For instance, if you’ll be using it primarily for pasta, you might want to get a stock pot with an insert; or, you might be interested in a steamer basket (here’s one that has both!) A 6- or 8-quart should work just fine for most cooks, but a 12-quart is a good option if you intend to make stock frequently. Most stock pots will have aluminum discs at the bottom for heat conductivity. While a lot of folks will warn you against buying cookware with discs (and recommend buying fully-clad instead), we find that discs generally work well for stock pots. However, if you expect to use your stock pot frequently, you may want to consider a fully-clad stock pot (like All-Clad or Made In Cookware) — just know that you will pay quite a bit more. We’re only recommending stainless in this category, as a nonstick is unnecessary and won’t last as long. While high-end brands such as All-Clad are nice and will likely serve you well, we don’t find that spending a lot on a stock pot makes that much of a difference for most. Here are a few options to choose from. Farberware’s stock pot, available at the link in 12- and 16-quarts, is a moderately-priced option that covers all the bases: stainless, dishwasher safe, tight-fitting lid, etc. 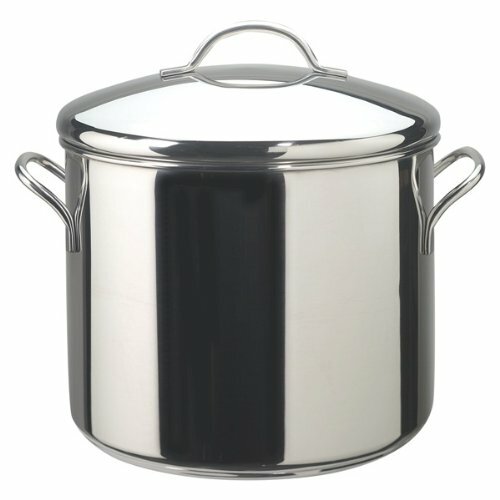 This pot is useful for canning as well as for making big batches of soup, broth, or sauce. It is relatively inexpensive (in terms of cookware), so do be aware that there have been issues with pitting and the handles coming loose. Overall, though, reviews are positive, and you’ll find this particular pot recommended by other sites as well. Farberware offers a lifetime limited warranty. This Cuisinart is an 8-quart option that’s priced under $40. It’s well made, and like the Farberware above, contains an aluminum disk for heating and heat retention. Cuisinart recommends keeping this pot off of high heat (which is good advice for any stock pot), so be sure to follow their recommendations and this should last you for quite some time. We covered frying pans in depth on this article, so we’ll keep it short and just show you our top nonstick and top stainless skillets. If you’ve been following us at all, you know that we recently replaced our All-Clad hard-anodized aluminum pan with newcomer Kitchara’s hard anodized pan. It’s a fantastic investment if you’re looking for a 12″ nonstick that will actually last a while. The hard anodized interior offers up nonstick properties without resorting to Teflon coating, and the pan heats evenly and cleans up easily. The handle is MUCH more comfortable than All-Clad‘s (my biggest issue with that skillet) and the construction is excellent. Here’s the thing: I want to recommend Made In’s stainless frying pan. It’s one I use at home (in addition to the stainless skillets that came in Kitchara’s stainless set). And, as I mentioned about the nonstick All-Clad in the paragraph above, the handle can be really annoying. However, Made In has been out of stock for a bit (I’ve reached out to see if they have a back in stock date — I’ll update if I hear back), so I give you the All-Clad. Handle aside, it really is a gorgeous, well-made, and functional frying pan. A saute pan is often included in cookware sets, but it’s not always a highly used piece. It’s similar to a frying pan, but it features more surface space, higher sides, and is usually heavier than a frying pan so it includes a helper handle. Saute pans typically come with a lid as well, something skillets lack by and large. It’s a great tool for braising, frying, searing meat, and reducing pan sauces, but isn’t actually that great for sauteing — that technique requires tossing and shaking, which a skillet is much more effective for. Additionally, a cast iron skillet makes a great alternative to a saute pan, though you’ll have to make do without a lid. Many home cooks get by just fine without a saute pan. Others use a saute pan and frying pan interchangeably. For the most part, you only *need* a saute pan if you’ll use it often for it’s most useful purposes, like poaching, braising, or shallow frying. Because it holds more liquid than a frying pan, it can be a great addition to the kitchen. If you’ve decided this is the right piece for you, here are two options. The 5.5-quart Chef’s Classic is a solid option that doesn’t break the bank. It’s oven safe and dishwasher safe, and it comes with a Cuisinart’s lifetime warranty. We recommend this over pricier brands because most home cooks simply won’t use it enough to justify the higher expense. You might see a bit of difference in a higher-end pan, but given the types of dishes usually prepared in it. If you do want to splurge, the All-Clad 3-ply line, Made In Cookware, and Viking are all top brands to check out. While we prefer stainless for saute pans, for some cooks a nonstick is the best option. In those cases, we recommend looking to hard anodized aluminum over traditional nonstick, and the Calphalon Classic 5-quart is a great product. Calphalon states that the pan and lid are oven-safe to 450 degrees, though we’d be careful with the glass lid being in the oven! If you know cookware at all, you definitely know that All-Clad is widely considered to be one of the best. The benefits of buying All-Clad are numerous: they are well-designed, high-quality pieces of cookware with a beautiful look and a limited lifetime warranty on most items. All-Clad is also respected for being made in the U.S., BUT this isn’t 100% true. Much (most?) All-Clad lines are still manufactured in the United States, but not all. Lids of many stainless pieces, for instance, as well as their hard anodized pans, are made in China. Those items still undergo the same rigorous testing and quality control (and have the same warranty), but for folks searching for only made in the USA cookware, All-Clad doesn’t fit the bill. Two big drawbacks to the All-Clad brand include the handle design and price. 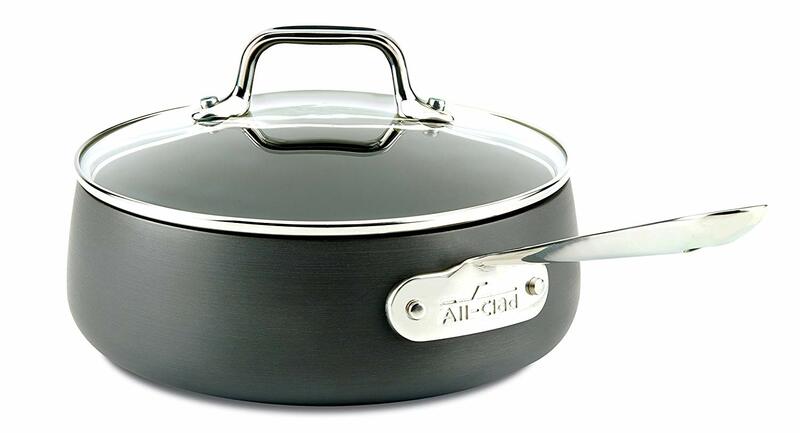 Many of All-Clad’s pans feature a u-shaped handle that can be very uncomfortable for some to hold. And, All-Clad is on the high end of price, making it unattainable for a lot of shoppers. Cuisinart has a ton of kitchen products, from cutlery to appliances, and their cookware is known for being a great value. The Multiclad stainless set is one of the most popular stainless sets on the market thanks to its under-$200 price tag and fairly high customer ratings. While not the hands-down best cookware on the market, there’s no reason not to check out this brand, particularly if you’re looking for an upgrade pick that won’t cost you a fortune. Buying from Cuisinart or any other big name typically ensures you’ll get quality products and a warranty. However, it is often difficult to get excellent customer service from big name brands, as they have so many products, so many customers, and cannot always offer one-on-one support. Many of the complaints we’ve found on Cuisinart overall relate to warranty issues or not receiving fair support. Small, up and coming brands care a lot more about customer opinions (because they have to in order to succeed! ), so in our experience they tend to offer the best support. Though lesser known than All-Clad, Demeyere has a loyal following and produces high-end cookware (at a high-end price). This brand is new to me, but after seeing it mentioned often on forums like Chowhound, I checked it out at my local Williams-Sonoma. And I’ve been lusting after it ever since (especially the saucier, mentioned above). Demeyere is a Belgium brand now owned by Zwilling (known for knives, it also owns Staub as well). 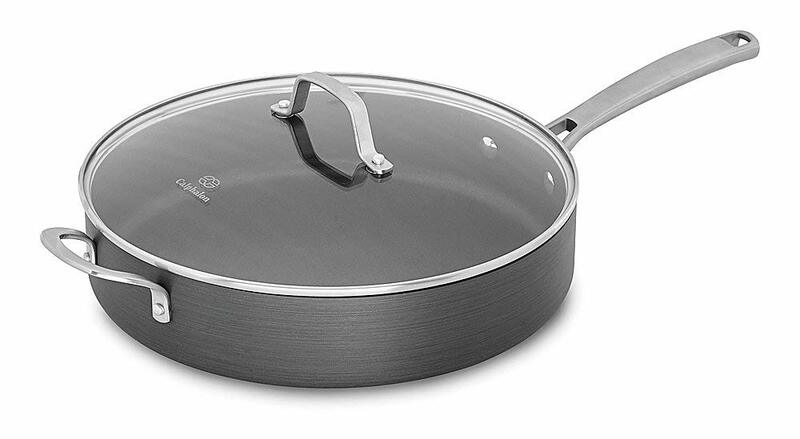 Notably, Demeyere offers a 7-ply stainless set — one of the only cookware brands that manufactures such a thing. We haven’t looked into the 7-ply at this point, but it might be worth investigating if you’re thinking about this brand. Okay, so this brand is new. Like, very, very, just-launched-in-December new. However, we’re head over heels for the stainless steel set and the nonstick skillet. Those are the only two offerings from the brand at this point, but both are priced well and beautifully designed. Kitchara is a direct-to-consumer brand that sells only online, so you won’t find them in stores. This strategy — an increasingly common one in the world of kitchenware — means that consumers can pay less for premium products. Of course the downside is that you cannot see the items before you buy, but most direct brands have a generous return policy and lifetime warranty. Like Kitchara, Made In is a direct-to-consumer brand that’s making waves in the market. And it’s another brand we’re pretty smitten with. With products ranging from ‘kits’ to chef knives, they are a great source of quality products. Not to mention they are one of the only cookware brands that are 100% made in the U.S. Their prices, while high, are actually very fair given their 5-ply construction and the fact that it’s entirely American-made. Mauviel is best known for producing copper cookware, though they also offer stainless. Copper is a specialized and very expensive cookware material, but for some, it’s the only way to go. If you’re just starting out looking for copper pieces, Mauviel is not a bad option. Established in 1830, the brand has a long history of production and still makes all their cookware in France. The M’heritage line of copper cookware is their best-selling and best-known. While not as commonly known as some other brands, Tramontina is still a cookware brand with a wide variety of offerings and plenty of customers. However, there are also tremendous differences in quality between various lines — that’s why you’ll see it sold in Walmart (although even some of those options aren’t cheap) as well as Williams-Sonoma. There are some worthwhile sets and pieces available from the brand, but just know that you will get what you pay for. If country of origin matters to you, you’ll find that some Tramontina cookware is manufactured in China, the rest in Brazil. Overall the brand does a fairly good job of transparency with regards to that. Though perhaps best known for ranges, Viking offers high-end stainless steel cookware with something of a cult following. Their premium pieces are priced high, but are well worth the investment for many folks. Not all Viking cookware is made in the US, but the popular 5-ply line is for sure. This brand isn’t one we’re particularly familiar with, but we like what we’ve seen and heard so far and expect to learn even more. In the meantime, we’ll gladly recommend interested shoppers check out the offerings from Viking.